Euro has a depression or storm by Monday. 12Z Euro has it stalling/turning SE in N FL. SHIPS is not aggressive with strengthening 91L much. 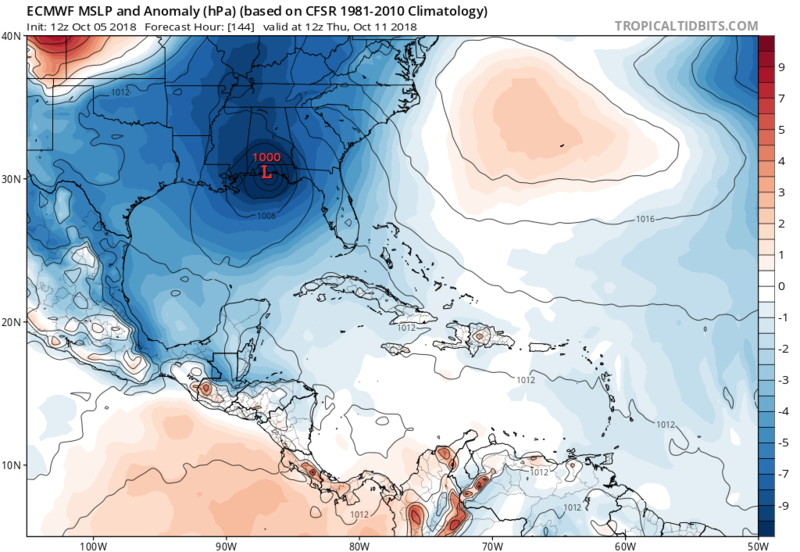 LarryWx wrote: 12Z Euro has it stalling/turning SE in N FL. Because it shows getting left behind by the trough, makes sense because of persistent ridging across the eastern US due to the persistent +NAO pattern. 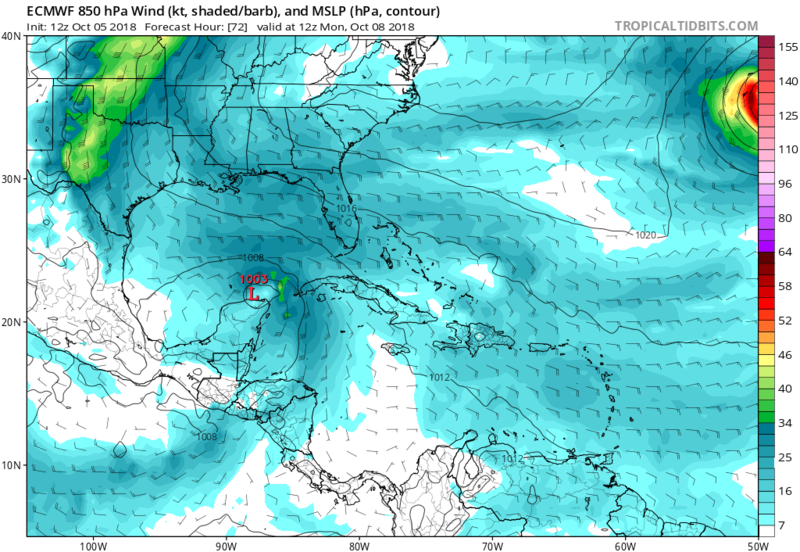 GFS has this regenerating over the subtropics after it forms. 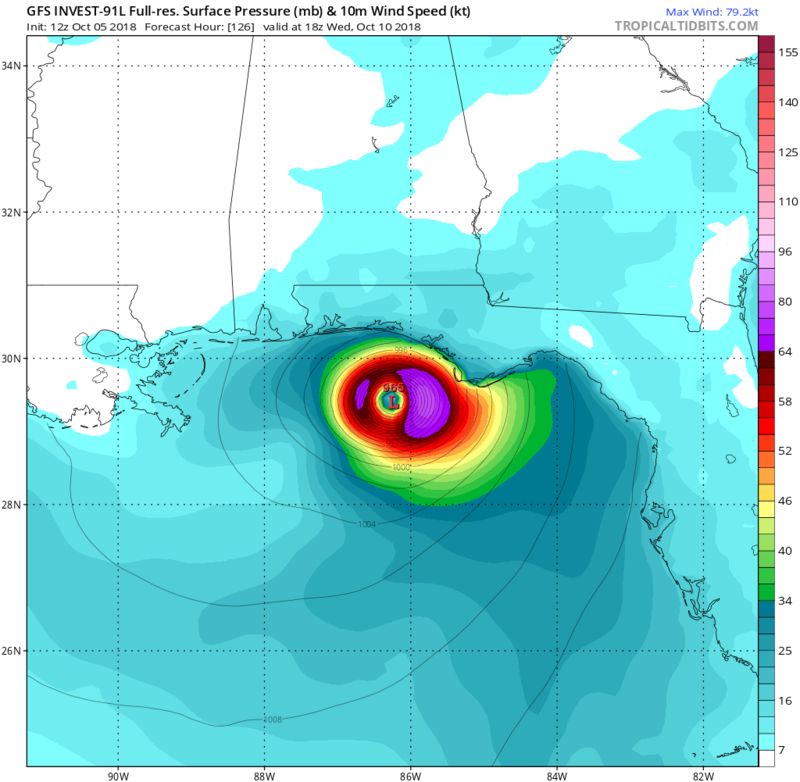 Please stay on the topic of 91L model runs and discussion about those runs. Other posts and one liners subject to deletion. Location: Chicago.... definately need to be back in the action..
look at all the Euro members showing a small loop or stalling and heading wnw with a few now into texas..
18z gfs running lets see what, if any, changes there will be now there is an invest location and info in the models. 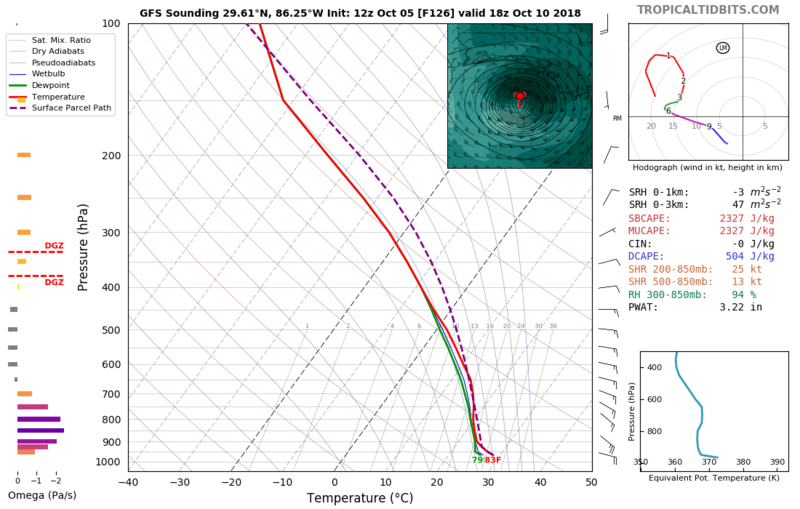 probably not much but we will find out..
Aric Dunn wrote: 18z gfs running lets see what, if any, changes there will be now there is an invest location and info in the models. 18z GFS slightly stronger through 72 hours. 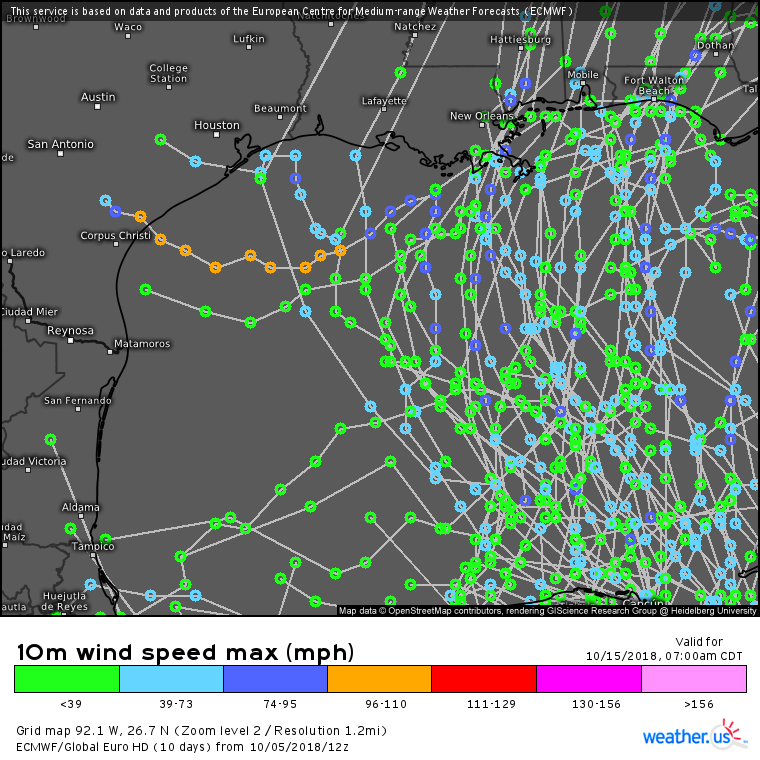 Models seem to think it's Destin-ed to hit the panhandle. Im in Atlanta and this might end up being good for us rain-wise and to bring some cooler air down... still swelteringly hot here. But hopefully not a monster in the making! nice upper high built in over it... deepening faster now..